Wayne Rooney has decided to quit Manchester United after accepting that his Old Trafford career is coming to an end. United’s record goalscorer is unhappy with a reduced role under Jose Mourinho and has told friends he is leaving after nearly 13 years at the club. He is determined to go on his own terms. The United captain has a £35million-a-year offer on the table to play in China where the transfer window closes next Tuesday. 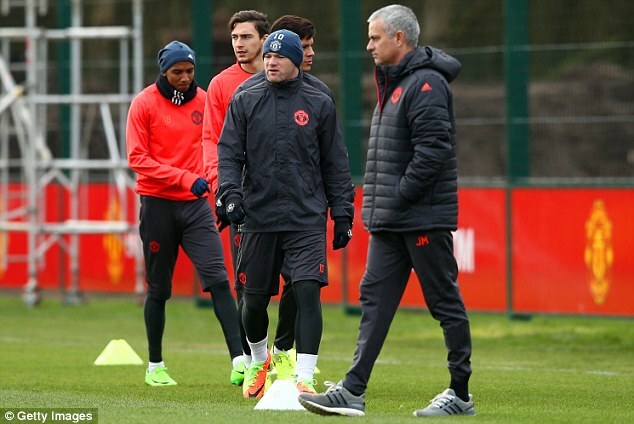 Mourinho refused to offer any guarantees that Rooney will stay on Tuesday night, saying: ‘Of course I can’t guarantee. I cannot guarantee that I’m here next week, how can I guarantee that a player is here next season? 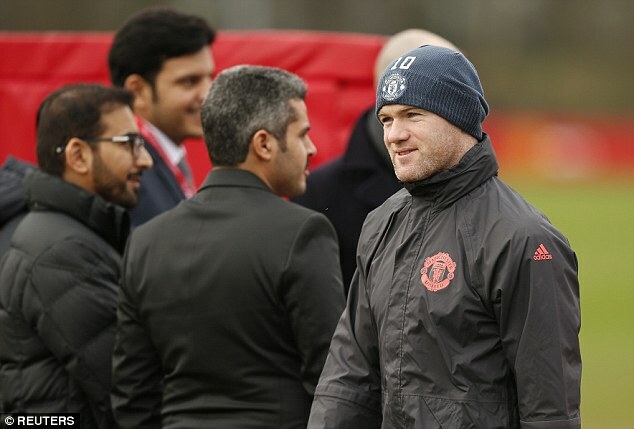 Sources close to Rooney insist it is unlikely that he will move to China before next week’s deadline. He also has interest from Major League Soccer in America, while Everton are keen to re-sign him but his £230,000-a-week basic wage is prohibitive. Rooney has been marginalised as Zlatan Ibrahimovic, Marcus Rashford and Anthony Martial contest the United forward roles. He has not started a Premier League game since December 17. Despite having 18 months left on his contract, with the option of a 12-month extension, the 32-year-old accepts that it is time to leave. He missed the last two games with an unspecified illness and what was vaguely described as a muscle injury. 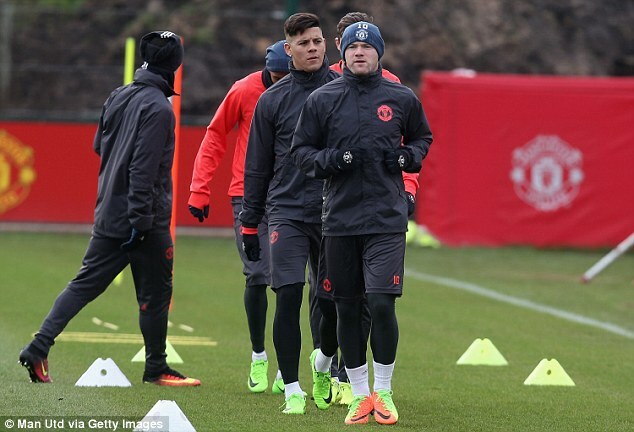 He trained with the squad at Carrington on Tuesday for the first time in a week, but did not travel with his teammates for tonight’s Europa League tie.